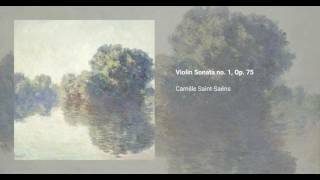 Camille Saint-Saëns wrote his Violin Sonata no.1, Op. 75 in 1885. It is a work in two movements, in the key of D minor. 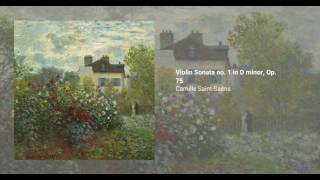 Published in 1885, it was dedicated to Martin-Pierre-Joseph Marsick (1847-1924).